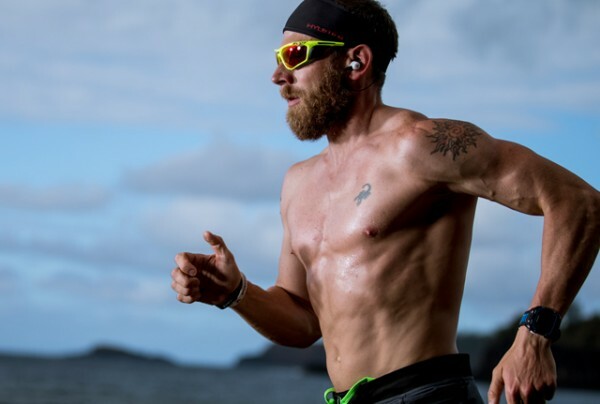 This weekend, American triathlete James Lawrence completed a feat that goes beyond the compliments that describe it, marking the completion of his 50th triathlon in the span of 50 days, going through 50 states. That’s swimming 4 kilometers, cycling 180 kilometers and running for 42 kilometers. Why? It’s for my children. Everything I do, I do for them. I try to set examples for them. I try to set big goals and accomplish them. I want to be around for them as long as I can, and this is my motivation to get up and do those things. Lawrence, of Lindon, Utah, is known as the Iron Cowboy, has also held the record for most ironman races completed in a year, and also one for the most ultra-distance triathlons in one year. He completed his 50-50-50 achievement at Lehi in Utah, beginning it on June 6 in Kaua`i, Hawai`i. Lawrence isn’t just doing this for his children. It’s about promoting a healthy lifestyle in a nation that a big chunk of its population sorely need it. There is a massive epidemic in this country. We’re obese, and it’s a problem. We need to make some serious changes in our lives. We need to change the way we eat, we need to change our activity levels, and we need to change our lifestyles.